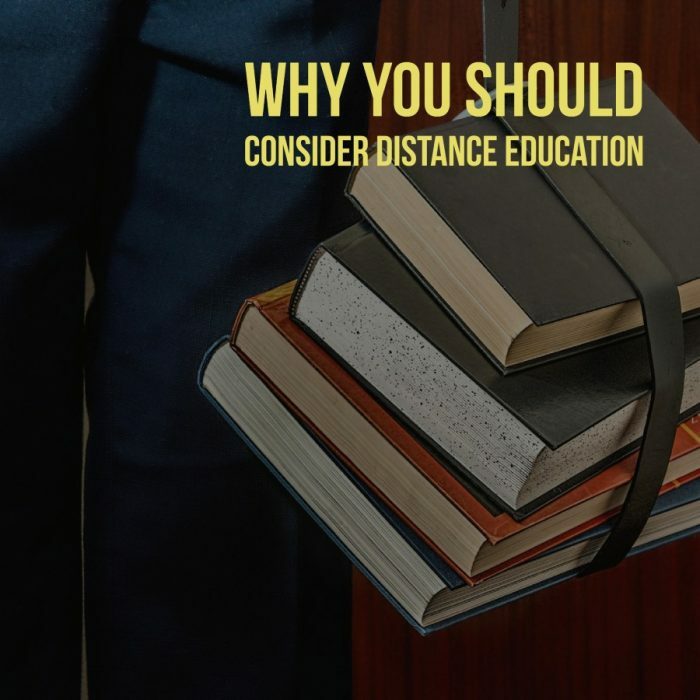 Distance education is a unique possibility to pursue Bachelor’s or Master’s degree for the one who doesn’t want to be tied to a specific time and place. Nowadays, it is a popular option for everyone. Even those who have chosen traditional education are preferring online courses. Distance education programs give learners an opportunity and flexibility to think and work at a time that most convenient to them. Students can choose different programs that contain various courses from humanities to science. What Are The Assets Of Distance Learning? First and foremost it is a convenience of scheduling. Some of the students combine study and work, which makes it quite problematic to be present at certain lectures. Distance education offers you a possibility to study when you want and where you want. You can stay at work as long as you should and then after a good nap start working on your assignments. No one is hurrying you up. You don’t have to be on time to attend classes and change your schedule, which might be a true challenge for a working person. You can start working on your homework after having a rest, and it will make your efforts more productive. Distance education opens new doors for foreigners. International students who want to accomplish a specific course and cannot afford to stay in a particular country have an endless variety of online educational opportunities. Those who would like to get some knowledge on subjects that are not covered in the higher educational institutions of their countries can refer to the online education solutions as well. The condition is you have a very good internet connection so you can attend the online classes, submit your projects and have discussions with your peers and tutors. In the webinars, students are able to get acquainted with people from all over the world who are attending mutual classes. It’s a great possibility to build bridges and connect with people you might not ever meet. If you are looking for a self-paced study, distance learning is a perfect option for you. Distance learners can pay more attention to the material they are struggling with and dedicate enough time to master skills that may be difficult to them. Students can apply to accelerated distance programs, so they could obtain the knowledge necessary for their career more quickly. Moreover, not everyone is capable of studying at the same pace. Online studying can help you to cope with everything on time and not lagging behind. For the most part, online learners can hand their assignments in whenever they have it done, as there are no deadlines. The only specific dates are the exams. In such a way, you can achieve higher results and become more productive in learning. What Other Benefits Does Distance Learning provide? Web-based educational programs give students the access to the world’s best educational opportunities at an affordable tuition. By choosing distance learning, you will save your money on course materials, commuting, housing, and other things you would have to spend your money on if you were attending campus. With online education, you are capable of saving your time. As long as you have the internet connection you can watch lectures, do your reading or any other assignments. Attending traditional classes takes more hours as you have to be present at campus 3 or 4 days on a weekly basis and several hours per day. Distance learning programs are created to work on mobile devices, so you can read a few chapters in a book or attend a video seminar during your break at work. This provides students with an opportunity to manage their time and live a balanced life. Many institutions provide their students with accelerated programs, so they could start their career sooner. For example, you can accomplish your degree in 13 months, which would normally take you 2,5 years. You can choose one of the online schools that do not offer breaks for summer holidays, and this will help you to complete your degree faster than if you were in campus-based college. By graduating earlier, you can build your career faster. The last but not the least, there are various web-based educational programs of high-quality. The most world’s famous universities offer online courses to college students, undergraduates, postgraduates, and professionals, and they have the same standards as traditional programs. Students are exposed to the same resources, knowledge and transferable skills in an environment that better suits their lifestyle. They also have an immense advantage from support services for distance learners. Students are able to participate in virtual forums, discussion groups, and tutoring sessions. All in all, there are endless benefits of becoming a distance learner and if you think online learning is a great option for you, enroll in any course you’re interested in and start pursuing your degree today!